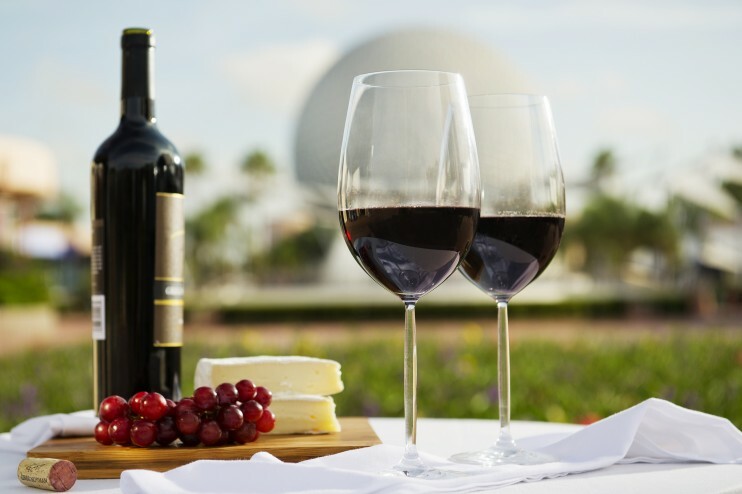 The 2016 Epcot Food and Wine Festival kicks off September 14 for a record 62 days and we have all the details on the full booth menus plus info on the low-cost seminars and demos! This year’s Festival will feature more than 30 Marketplace Booths in both World Showcase and Future World. New booths this year include The Chew Collective, Chocolate Studio, and the return of Islands of the Caribbean. Many of the fan-favorite booths are returning this year including Canada, Ireland, Scotland, Desserts & Champagne, France, and many more. At the Desserts & Champagne booth this year guests can enjoy new hard soda floats! For full menus and photos of the food for this year’s Festival visit the Disney Food Blog’s 2016 Epcot Food and Wine Festival menu page. This year’s festival will once again feature the popular low-cost culinary demos and beverage seminars. These seminars and demos cost $15 per person and can be booked starting July 21. (Early booking starts July 19 for Annual Passholders, Disney Vacation Club members, Golden Oaks residents, and Tables in Wonderland members). The seminars and demos feature celebrity chefs, culinary talent from around Walt Disney World Resort, and representatives from wineries and breweries. All seminars and events can be booked July 21 starting at 7 a.m. ET by calling 407-939-3378. Guests can also book Culinary Demonstrations, Beverage Seminars, and Mixology Seminars online at www.epcotfoodfestival.com. For details on all the seminars and demos at this year’s Festival visit the Disney Food Blog’s 2016 Epcot Food and Wine Festival Seminars and Demonstrations page. And for the most up-to-date information on the 2016 Epcot Food and Wine Festival visit the Disney Food Blog’s 2016 Epcot Food and Wine Festival page. This entry was posted on Thursday, July 14th, 2016 at 8:00 am	and is filed under Dining, Planning, Theme Parks, Touring Plans. You can follow any responses to this entry through the RSS 2.0 feed. You can leave a response, or trackback from your own site.